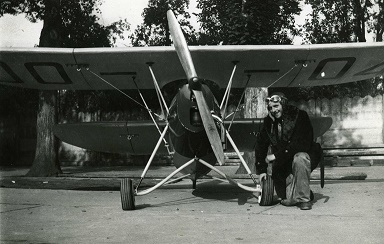 Just before the outbreak of WWII, Mignet gained a small order of his twoseater HM-210 to be used as an observation aircraft by the French army thanks to the Colonel Eon. At the end of war, the same Colonel asked to Mignet one small aircraft that could take off from a road, be towable on a road and operate behind the enemy lines. The result was the HM-280 Pou-Maquis that was perfect but came too late. 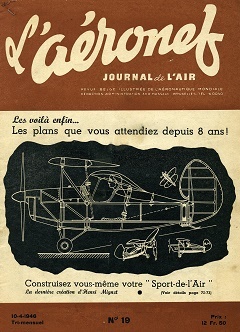 After the war, Mignet redesigned it as the HM-290 and the drawings printed on a single sheet of paper was sold through magazines like the belgian « l’Aéronef ». Thanks this distribution and the advantage that the wings were foldable, it was an immediate success and restart the Pou-du-Ciel mania. The B.A.P.A. 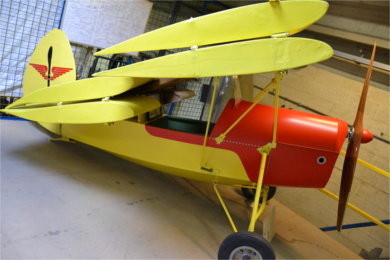 aircraft was registered OO-04 in august 1949 to André Vandenhaute from Ninove. Powered with an Aubier-Dunne 20-25cv, it is doubtfull it ever flew due to its low power. B.A.P.A examplar: private collection on loan, in static restoration at the workshop.